We are building our sales partners in Europe and are delighted that SMOD is now available in Switzerland, the United Kingdom and Benelux. Discover the freedom SMOD will give you for cell culture monitoring – in-flask and without intervention! 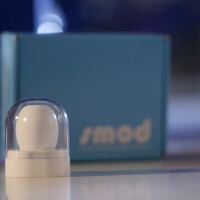 Cole-Parmer now offering SMOD in the USSMOD has arrived in India.